On December 13, 2013, wwe had one of the most heavily attended interviews we have ever had with with Daniel Goleman, Ph.D., internationally-known psychologist, award-winning science journalist, and author of the acclaimed New York Times bestsellerEmotional Intelligence talks about his newest book, FOCUS: The Hidden Driver of Excellence. To see what listeners are saying about his call, click here. FocusWhat do a world-class athlete, a star rapper, and a high-performing executive all have in common? Focus — how well they pay attention to what matters most for their performance. Focus is the hidden ingredient in excellence — but a different kind of focus matters for each of these achievers. For the athlete, how well she can concentrate and ignore distractions predicts how well she will do in upcoming contests. For a rapper engrossed in “free styling,” composing a rhyming rap as he goes, the kind of focus that counts is open awareness, where his mind drifts free to find those rhymes in the moment. And for executives there are three specific kinds of focus that make the difference between mediocre and star performance: on themselves, for the self-awareness that lets them manage their inner world well; on others, for the empathy that lets them build effective relationships and interactions; and on the larger systems in which their organization operates, which dictate what strategy will work best. All this and more is detailed in Dan Goleman’s new book, Focus: The Hidden Driver of Excellence. Focus delves into new, surprising findings from neuroscience labs and explains why attention is a little-noticed mental asset that makes a huge difference in how well we find our way in our personal lives, our careers, as parents and partners, and in virtually everything we do. Like a muscle, if attention is used poorly it withers. Work it in the right way and it strengthens. In our daily lives, we are increasingly inundated by a sea of distractions. Daniel Goleman observes that attention has become “a mental ability under siege,” requiring us to get smarter about how to maintain it. Towards that purpose, he has written Focus: The Hidden Driver of Excellence. 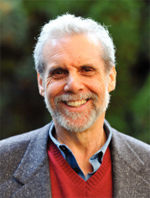 Daniel Goleman, PhD, received a leadership scholarship from the Alfred P. Sloan Foundation for his undergraduate years at Amherst College (which included independent study at the University of California-Berkeley), and went on to earn his PhD from Harvard with a Ford Foundation Scholarship. Under a pre-doctoral traveling fellowship, he was able to study ancient systems of psychology and meditation practices of Asian religion in India, and returned to Harvard to complete his doctoral research on meditation as an intervention in stress arousal. He returned to India on a post-doctoral grant from the Social Science Research Council, and generated his first book, now calledThe Meditative Mind. After a stint at Harvard in the 1970’s as a visiting lecturer teaching a course on the psychology of consciousness, Dan was offered a job and a tutorial in journalism at Psychology Today magazine that was to set the course of the rest of his career. He’d always thought he’d be a college professor like both of his parents, but shifted his focus to writing. From this first job as a behavior science journalist, he was recruited in 1984 by The New York Times to cover psychology and related science news. Thriving in the midst of talented journalists there, Dan reported on the brain and behavioral sciences at The New York Times for 12 years. Dan’s 1995 book, Emotional Intelligence was an outgrowth of his journalistic research on emotions and the brain. It was on The New York Times bestseller list for a year-and-a-half, with more than 5,000,000 copies in print worldwide in 40 languages, and has been a best seller in many countries. The Harvard Business Review called emotional intelligence — which discounts IQ as the sole measure of one’s abilities — “a revolutionary, paradigm-shattering idea” and chose his article “What Makes a Leader” as one of ten “must-read” articles from its pages. Emotional Intelligence was named one of the 25 “Most Influential Business Management Books” by TIME Magazine. The Financial Times, Wall Street Journal and Accenture Institute for Strategic Change have listed Dan among the most influential business thinkers. Dan’s 1998 book Working with Emotional Intelligence was prompted by the great interest in organizations and the business community. Dan’s commitment to the idea that schools should teach emotional literacy along with regular academic subjects compelled him to become a co-founder of the Collaborative for Academic, Social, and Emotional Learning (www.casel.org), originally at the Yale Child Studies Center and now at the University of Illinois at Chicago. CASEL’s mission centers on bringing evidence-based programs in emotional literacy to schools worldwide. He also currently co-directs the Consortium for Research on Emotional Intelligence in Organizations (www.eiconsortium.org) at Rutgers University. The consortium fosters research partnerships between academic scholars and practitioners on the role emotional intelligence plays in excellence. By a decade after publication ofEmotional Intelligence, children in tens of thousands of schools worldwide had been introduced to social and emotional learning (SEL) as essential skills for living that have been shown to have a strong effect on academic accomplishment, positive behavior, and neural circuitry. Another recent book, Leadership: The Power of Emotional Intelligence, offers an up-to-date summary of his thinking on leadership by collecting key excerpts from his books together for the first time in one volume with his articles from the Harvard Business Review. These include “What Makes a Leader? and “Leadership that Gets Results.” Dan lectures frequently to professional groups, business audiences, and on college campuses on the importance of Emotional Intelligence. Apart from his books on emotional intelligence, Dan has written books on topics including self-deception, creativity, transparency, social and emotional learning (summarized in the acronym SEL), meditation, ecoliteracy and the ecological crisis. Dan organized a series of intensive conversations between the Dalai Lama and scientists, resulting in the booksHealthy Emotions, and Destructive Emotions. He is currently editing a book from the most recent dialogue on ecology, interdependence, and ethics. Dan is a board member of the Mind & Life Institute, which fosters dialogues and research collaborations among contemplative practitioners and scientists. Yet another recent book, The Brain and Emotional Intelligence: New Insights gathers together recent findings from brain research and other sources on topics ranging from creativity and optimal performance, the brain-to-brain connection in leadership, and to how to enhance emotional intelligence itself. Dan’s 2009 book Ecological Intelligence: How Knowing the Hidden Impacts of What We Buy Can Change Everything argues that new information technologies could create “radical transparency,” allowing us to know the environmental, health, and social consequences of what we buy. As shoppers use point-of-purchase ecological comparisons to guide their purchases, market share would shift to support steady, incremental upgrades in how products are made — changing ever thing for the better. Dan’s work as a science journalist has been recognized with many awards, including the Washburn Award for science journalism and a Lifetime Career Award from the American Psychological Association. He was made a Fellow of the American Association for the Advancement of Science in recognition of his communicating science to the general public. Originally a native of Stockton, California, Dan now lives with his wife Tara Bennett-Goleman in the Berkshires of Massachusetts and continues to write. Tara is a teacher and psychotherapist and author of the New York Times best-seller, Emotional Alchemy: How the Mind Can Heal the Heart. His two grown sons both live nearby, as do his grandchildren. Despite his recent, massive media tour for Focus, he says he finds himself appreciating his private life–spending less time running around and more time just “being,” with changing perceptions of what ultimately brings satisfaction. Nov 1, 2013 – Daniel Goleman explores the link between mental focus and success. Oct 9, 2013 – The more focused we are, the more successful we can be at whatever we do. And, conversely, the more distracted, the less well we do. Nov 15, 2013 – Here are some practical ways to stay focused despite the blizzard of distractions.